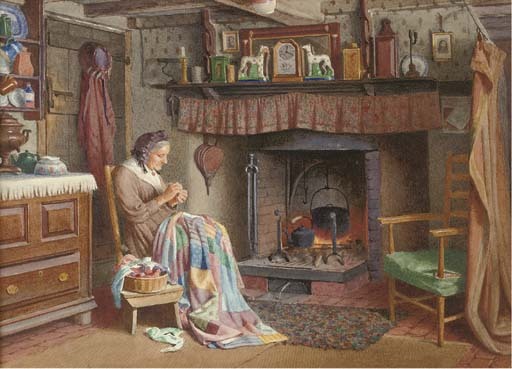 We hope that the change in weather has given you the opportunity to do some sewing in front of the fireplace with a warm beverage at your side. Our November meeting included 43 current members and 2 guests. We love seeing familiar faces and welcoming new ones to our community. 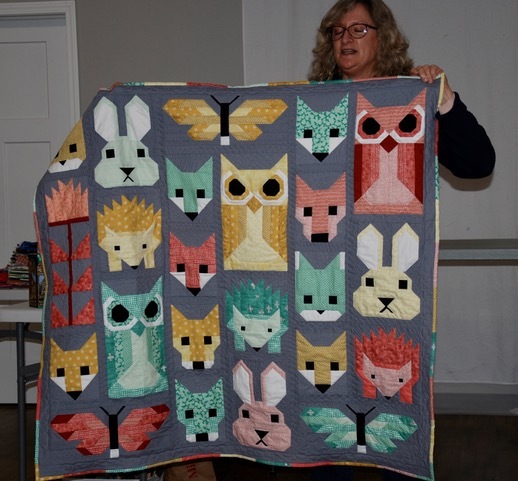 ~Gael and Dayna enjoyed the Market and Gael updated us on some of the great finds she will be bringing to Blue Bar Quilts. 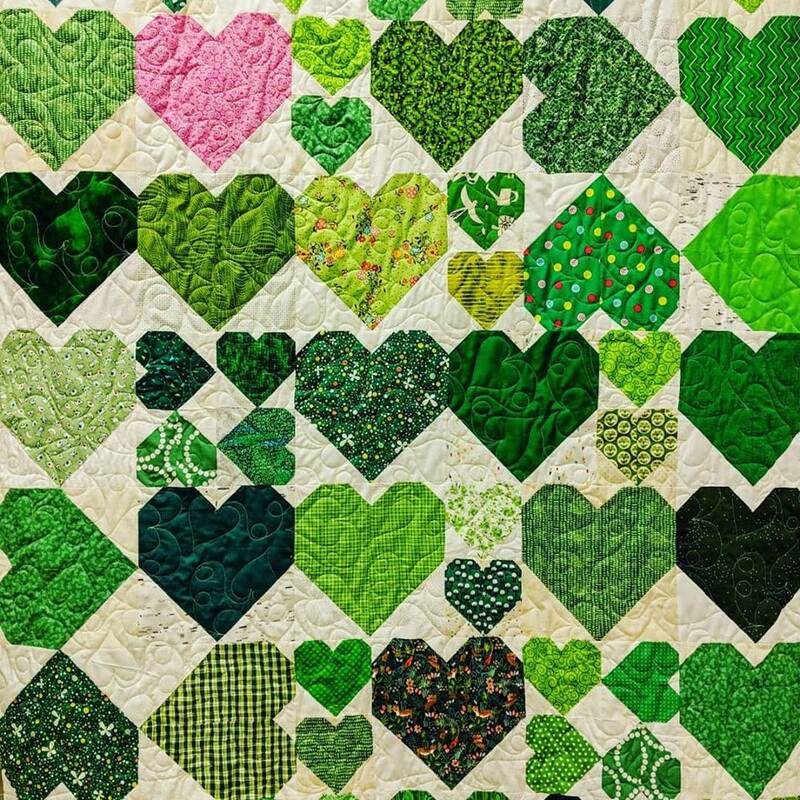 ~Our community collected green heart blocks for the Girl Scout community that lost some of it’s members in a tragic accident. 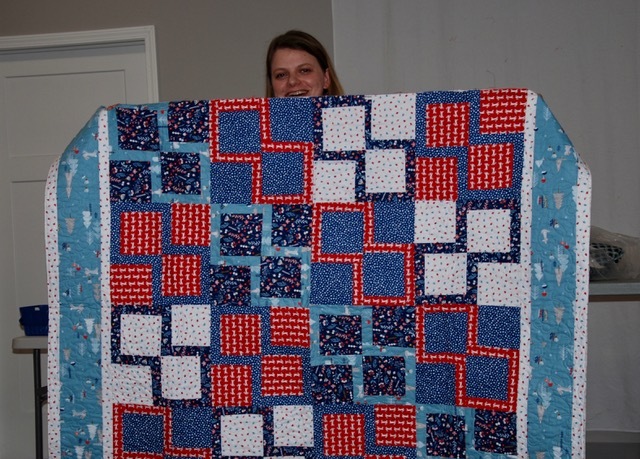 Here is a photo of the quilt our community made. Thank you to everyone that donated blocks. 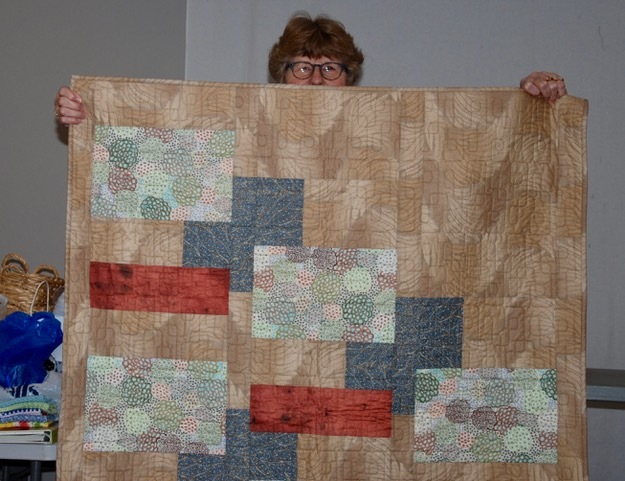 If you don’t see your block in this quilt top, don’t worry… it was included in with another quilt. 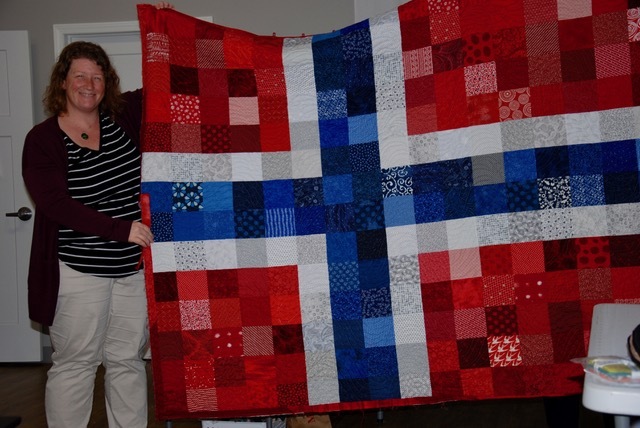 Thank you to Gail, Sue S. and Tracy R. for working on the quilt. 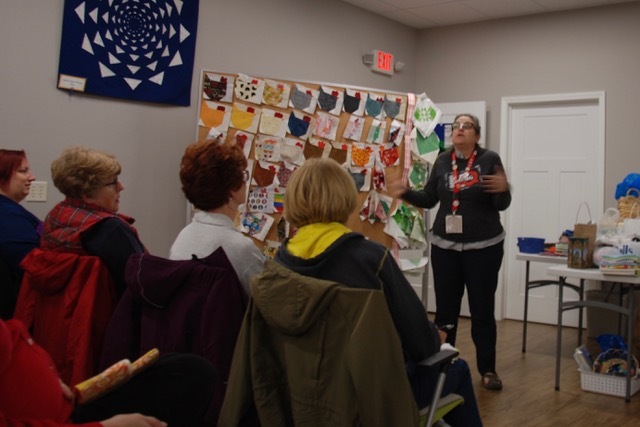 ~Our members voted to donate $100 from our funds to the Wisconsin Museum of Quilts & Fiber Arts. It is great to know we are helping support a Wisconsin treasure. 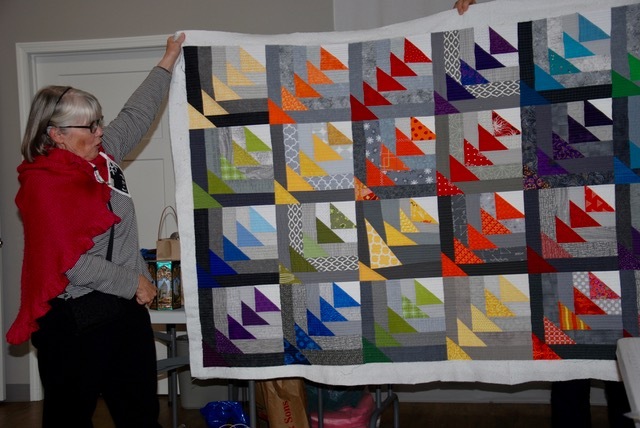 ~If you need extra fabric for the MQG Michael Miller Challenge contact Jen at The Electric Needle. ~Watch for our updated website. 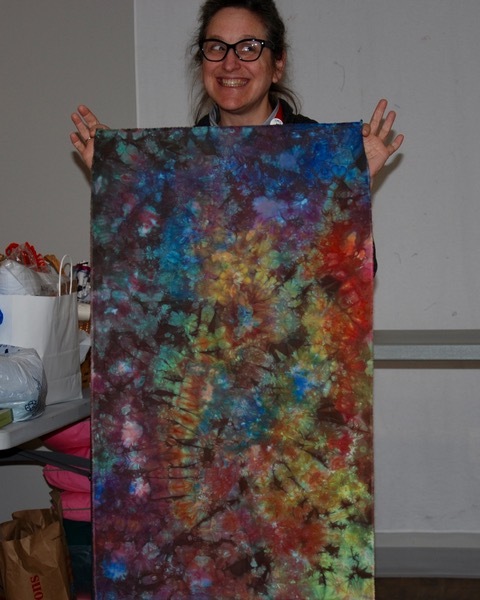 We will include a calendar, links to the sign ups for the meetings and for the sewing retreats. ~Members have decided that they would like to have the contact info for other members. Carmen G. has volunteered to make this happen. Let us know if you do not want your contact info to be included in this list. 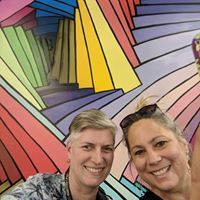 ~Do we want to continue in 2020 as members of the national modern quilt guild? That is a question we are addressing in the upcoming meetings. If you feel strongly about this let us know. 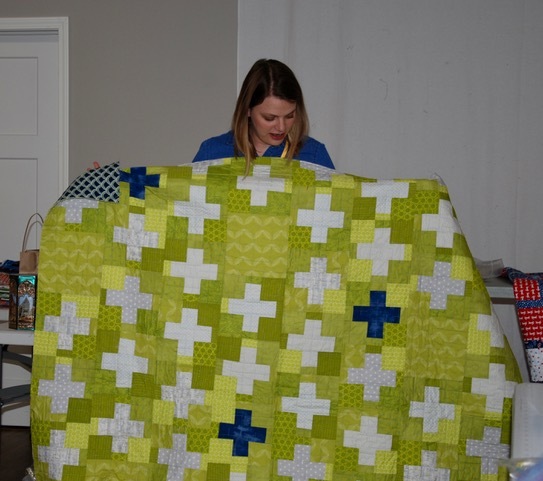 Motto: Build quilts. Build Art. Build community. Sign up sheets will be transferred to an online document. ~Winner: Casey S. won 64 chickens!!! Blocks, that is. Look at that flock!! We can’t wait to see what she does with those beauties! ~For December’s Block Lotto we are doing paper airplanes. 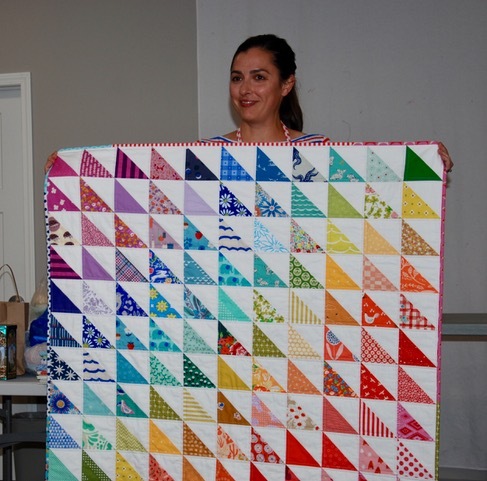 You will need to go to the national modern quilt guild page for the pattern. While you are there… look around, see all the other offerings on the national page. ~$45 cash/check/paypal needs to be paid by the end of this calendar year. ~Mark your calendars. The date is set for Saturday, Mar. 2nd at BBQ, 10AM-4PM. Stay tuned for information on table rentals. ~Our members decided to stay at BBQ. They decided that a Sign Up Genius would work to allow members to sign up for the meetings they want to attend. This will start in January. You can find more information regarding this decision here. 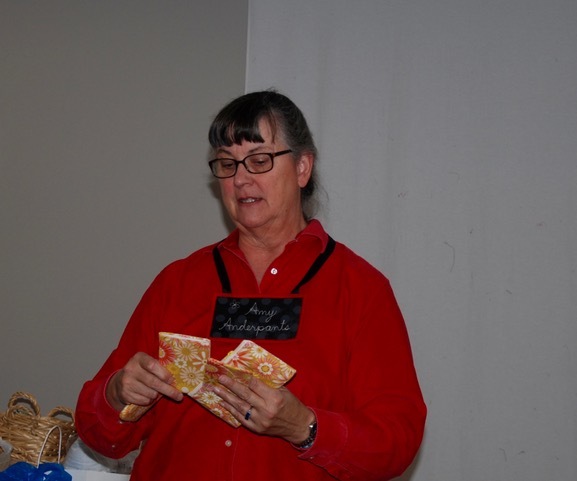 Mary reviewed her TACKLE system for us and discussed room design and function. Thank you so much Mary for sharing your wisdom and ideas with us. 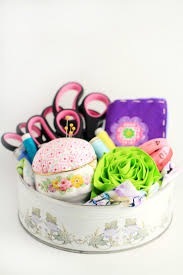 If you would like Mary to help you with your sewing space contact her here. WHAT IS HAPPENING FOR DECEMBER? 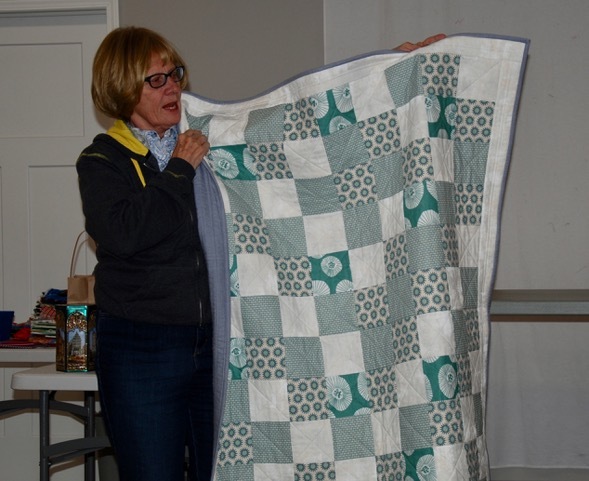 Join us on December 13th, 6:30pm at Blue Bar Quilts. This is our end of year celebration. We are having an Awesome Auction (fundraiser for the guild). Fellow members have donated items that we will be raffling off. We will also have baked good for sale. There is still time to donate. You can bring a baked good to sell at the event. We will be selling raffle tickets for $1 each, CASH ONLY. There are many great items/ baskets that you could win! Look at the talented community we have! !